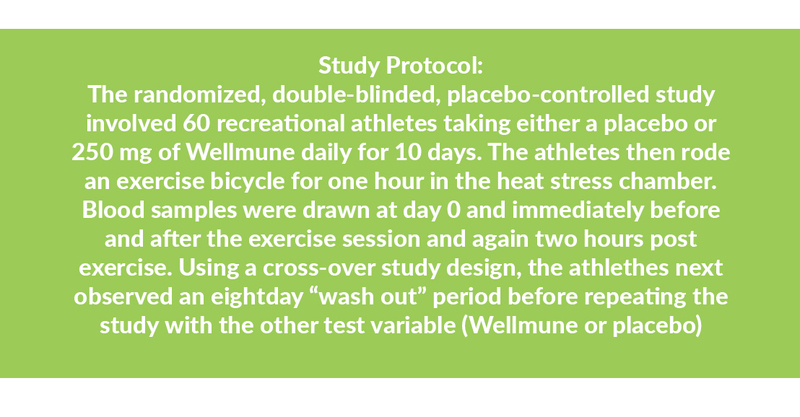 This clinical study conducted at the Department of Health and Human Performance at the University of Houston indicates that Wellmune® may enable both recreational and elite athletes to exercise longer and harder with less risk of immune system suppression that normally follows high-intensity exercise. The effectiveness of the immune system drops sharply below its normal state two to six hours after strenuous exercise and then gradually recovers within 24 hours. “During this ‘open window’ period, the athlete is more susceptible to infection, which may result in lost training time as well as missed work or school,” said Brian McFarlin, Ph.D., FACSM, Associate Professor of Exercise Physiology, Nutrition, and Immunology. 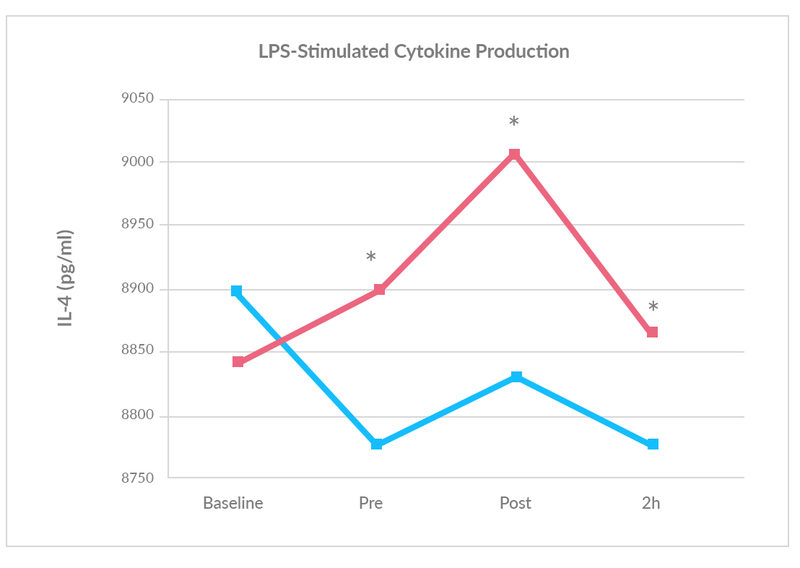 Study participants also had higher levels of key cytokines (IL-2, IL-4, IL-5 and IFN gamma) following Lipopolysaccharide (LPS) stimulation when taking Wellmune. LPS is derived from gram-negative bacteria and used to mimic a foreign challenge to stimulate an immune response. (*) Indicates statistically significant difference (P<0.05) between Wellmune and placebo.